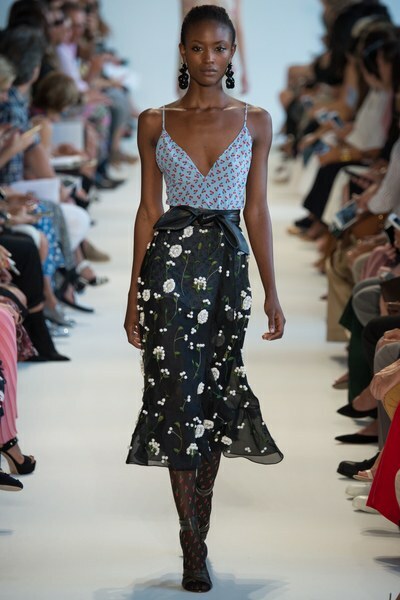 The Altuzarra Spring/Summer 2017 collection, like most other collection this season was fun and flirty. 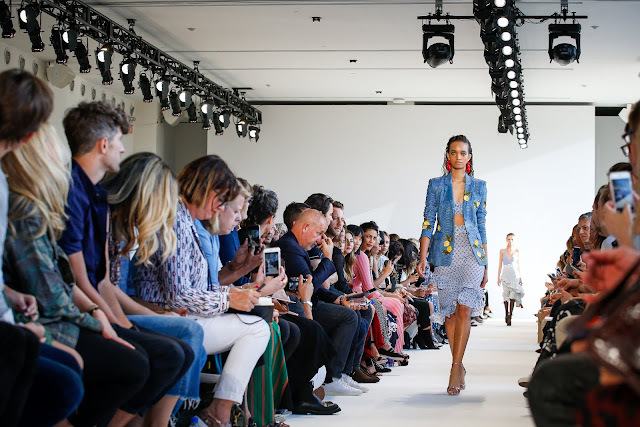 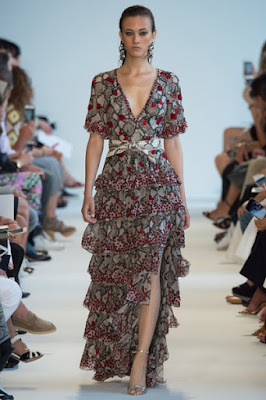 It's use of ruffles, prints and statement jewelry really brought the otherwise simple silhouettes to life. 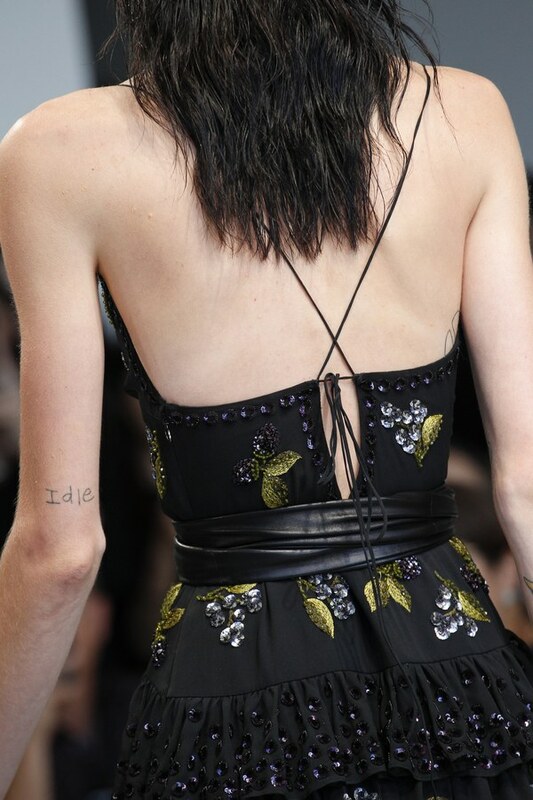 The details on the dresses were what really made me love the pieces. 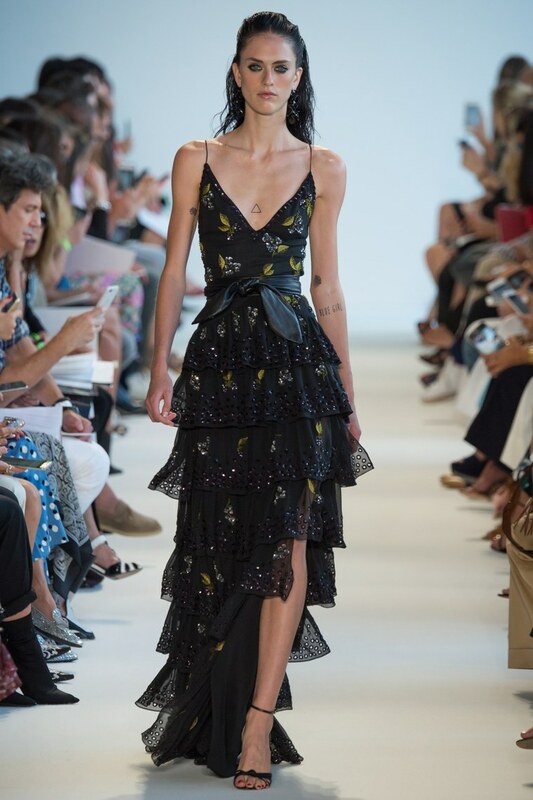 My favorite look from the collection is the second picture: the black ruffled dress with a gold leaf print, leather waist tie and thin straps.